My husband was hunched over, leaning most of his weight on me with his face buried into my neck. His tears fell hard and soaked through the front of my shirt. I had never seen a grown man weep like this. My eyes began to swell with tears too. My heart hurt and I was instantly captured with fear. Our story was over. The life we planned together since we were in high school came crashing down. Through blurred vision, I looked down at the little eyes glancing up at me. I stared at my newborn son, and for the first time I accepted that his eyes looked different from any other baby I had seen. They were narrow, shaped like two little almonds. His eyes looked back at me, desperate for love. As I studied his body, my thoughts shamed who I was as a mother. I don't want a baby like this. I want the baby I spent nine months dreaming about. I want the baby that fit into our plans. I felt an overwhelming amount of grief swelling in my heart. I felt like the baby I was pregnant with died and I had to start all over with the one I held in my arms. Guilt soaked my thoughts. Tears fell onto Elias' face. "I love you, I do. Forgive mommy. I promise I love you." The day I said “I do” to my husband was just the beginning of our expectations going as planned. As teenagers we secretly dreamt of the day we would live in another country together as missionaries. Our wedding day was colorful with exotic orchids. We ate Thai food. We danced under golden lit lanterns under a starry night. We said "I do" to a sacrificial life together. Our plan to be missionaries was becoming more of a reality. We left for school and trained for five years. Four years into our training, I held my firstborn son close and my heart ached with the thought of taking him away from all of our family. But still, my heart was connected to the mission field. No matter the difficulty of getting rid of everything we owned and saying goodbye to our family, we knew that the sacrifice was worth it if we could be used to translate the bible into a language that didn’t yet have God’s word. Our leave date was fast approaching, and so was the birth of our second son. It was a warm November day in California. 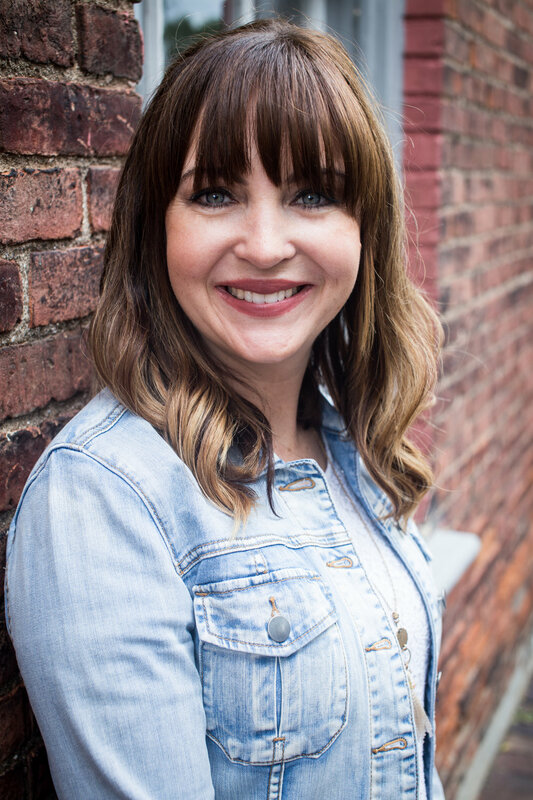 I leaned over the stove and flipped banana pancakes while feeling the tight contractions of my second son wrap around my belly. My mom told me to sit down and my husband knew that I was going to do what I wanted. I was craving pancakes and nothing was going to get in my way, not even labor pains. I ate a full plate of pancakes, then it was time. My husband called my midwife, I made my way up the stairs. I found my spot on the bed while Aaron filled the birthing tub. The moment I transitioned I remembered how awful it was to actually push a baby out. I sat on the edge of the bed and cried, I didn’t want to go through this again. As my body did what it was made to do, I sucked up my tears and went through excruciating pain for my baby. Sometimes it feels good to feel pain for the one you love. I sacrificed a piece of myself to bring new life into this world. “He’s coming! I feel him, he’s coming!” I announced. Like a burst of love, I watched life push out of me and fill my heart. His squishy body shot out of mine into the water. I picked him up and held him close, waiting for color and a first cry. Finally, when he let his first scream escape his lungs everyone in the room cheered and wiped tears from their cheeks. The day after Elias was born, I sat in my bed and watched my mom as she held her new grandson. It was a beautiful moment as she talked to him and his eyes were open and he was moving his tongue and mouth like he wanted to say something. I smiled, but I wasn’t happy. My smile was covering up the intense fear that took over my mind in that moment. I knew something was wrong with Elias. I knew that he would change everything that we had spent the last five years of our life planning for. So I went into denial and I forgot what I saw. My mind did something I had no idea it was capable of. Two weeks went by. We continued our plans for the mission field and figured out how to balance a newborn and a toddler. One lady from church asked me if I had taken Elias to the pediatrician yet. I told her we had an appointment but we were in no hurry because he was nursing well and seemed to be healthy. “Ya know, second baby? !” She cracked a nervous smile and I never thought anything of it. The day we saw our pediatrician I excitedly handed our new baby to her and watched as she unwrapped his swaddled little body—And then I remembered. That feeling of fear I had when I saw him cradled in my mom's arms. I watched as she examined his hands. I was terrified. She handed Elias back to me and sat down close to the three of us. The tone in her voice was different. She asked if Elias looked like anyone in our family. I told her yes, but that wasn’t the answer she was looking for. 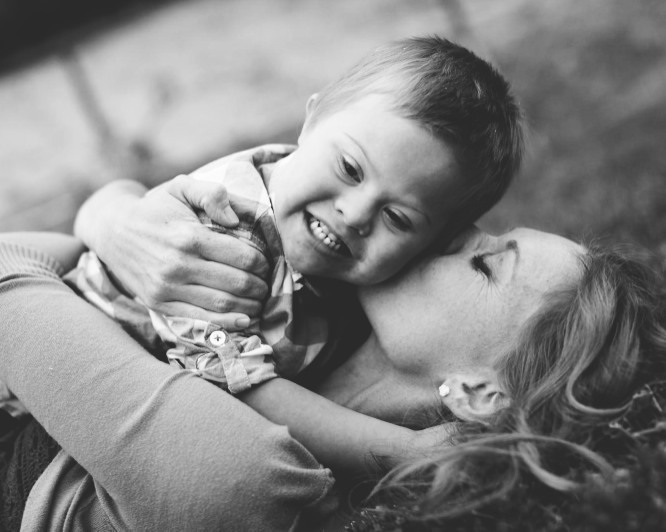 With a comforting voice she told us what was on her mind, “Well, I think Elias might have Down syndrome.” I started to blurt out, “I knew it, I knew it!” Aaron looked at me in shock, “You knew it?” She told us that she would get a blood work appointment for us immediately. She left us and said to take as long as we needed. And we did. Our baby looked up at us as we fell a part. As I write about our past, I can’t help but find joy in a time that was so painful. The day we wept for our lost plans was the day our lives became more complete. The loss we felt in the pit of our stomach was actually breathtaking beauty in disguise. I am grateful for the heartache we went through because it has changed perspective on life. I want to love the unloved. I want to find joy when it seems so difficult to find. I want to speak of hope when everything feels hopeless. I want to give a piece of my story to the mom who grieves loss and feels alone. I want to be a reminder of God’s beautiful and perfect plan. My story is not what I planned for it to be, it is far better! 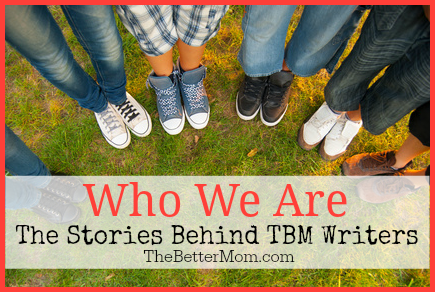 "Who We Are: The Stories Behind TBM Writers"